Digimarc has introduced a new serialized packaging offering combining Digimarc Barcode and HP Link, which can provide every printed object with a unique identity and offers a cost-effective option for tackle supply chain problems. HP and Digimarc offer consumer brands and their digital print providers the ability to apply a serialized global trade item number (SGTIN) on packaging to track and protect a package through the supply chain and at point-of-sale (POS) in retail environments. It is claimed this new capability will help to combat product counterfeiting and piracy, currently estimated by Frontier Economics and the International Chamber of Commerce to reach $4.2 trillion USD by 2022. Assigning SGTINs to individual items means that two otherwise identical units of the same product are uniquely identifiable, making it possible to track and trace for brand protection and product origination. 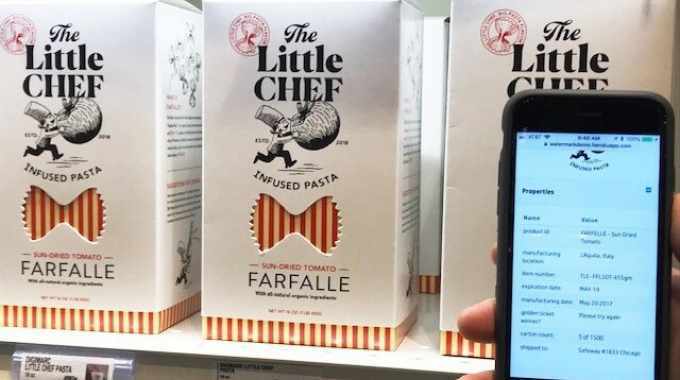 Digimarc Barcode is an advanced visually imperceptible code that can be serialized during printing on HP digital presses of product packaging, retail labels, point-of-purchase (POP) displays and other print output. It is reliably and efficiently scanned by enabled consumer phones, associated mobile devices, retail barcode scanners and computer vision systems. With HP Link, Digimarc Barcode can carry an SGTIN, the combination of a GS1 GTIN and a unique serial number of up to 12 digits. This provides each package with a unique identity and the ability for consumer brands to track and trace a package or product at the item level through the supply chain all the way to point-of-sale. HP Link offers a security serialization option including Digimarc Barcode and a toolset that integrates with existing enterprise resource planning (ERP), manufacturing, scanning, distribution and digital printing systems. By monitoring scanning behavior and tracking data, the HP Link platform automatically identifies suspicious behavior, including diverted packages. Cloud-based product and tracking information can be applied throughout the supply chain through to the end consumer.